Happy Independence Day Zimbabwe, but are we really free? Zimbabwe achieved majority rule and internationally recognized independence on the 18th of April 1980, following a long period of colonial rule. Without wanting to sound like a rancid ZBC TV commercial, Independence Day is important for any Zimbabwean as it commemorates the end of the apartheid-in-miniature era which was characterized by racial oppression. It is a day on which any citizen of this great nation ought to be proud – proudly Zimbabwean. Human rights violations are fairly rife in Zimbabwe. There is a widespread consensus among human rights organizations that systematic violations of the right to personal freedom and integrity are frequent in Zimbabwe, especially towards suspected members of the political opposition. The violations are perpetrated by government supporters as well as law enforcement agencies, and include assaults, torture, death threats, kidnappings, unlawful arrests and detention. As a young criminal lawyer, I was exposed, as no young lady should, to the horrors of Chikurubi Prison, Matapi Police Station and of course, Harare Remand Prison – which ironically is a few kilometres from where I live. I participated in the trial of Christopher Kuruneri, who had been incarcerated for four years, before being acquitted on charges relating to financial crime. Of further interest were the land cases, where I represented farm labourers, old farmers, new farmers and those aspiring to forcibly acquire ‘new’ land. These cases enabled me to travel around Zimbabwe more than I had in all my years, and to places I never knew existed. I argued in the Supreme Court sooner than I would have been able to, had the situation been normal. The human rights violations in Zimbabwe have led to claims that we are a failed state. Paradoxically, a recent UNDP Report provides that Zimbabwe has the highest literacy rate in Africa. 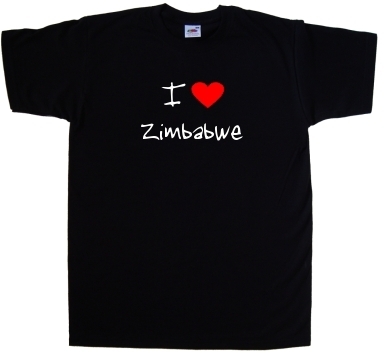 During the impugned decade, Zimbabwe has also produced Olympic athletes, Rhodes scholars and award-winning writers. Are such achievements consistent with a failed state? Zimbabwe should never be allowed to slide back as far as some of the countries that feature in international criminal law. My experiences at the United Nations International Criminal Tribunal for Rwanda and at the International Criminal Court have shown me that. Whether Zimbabweans believe it or not, we have not reached that threshold. At least not yet. Elections are due in a few months time, maybe longer – no-one really knows. I am not registered to vote, nor am I too interested in the outcome. I understand there is little I can do to change the situation. This moment belongs to a different generation. My hope lies in the Zimbabwe of the future. Ten or even twenty years from now. True freedom for Zimbabweans is a continuous process which is yet to be fully attained. A lot will depend upon whether the oppressed of yesterday do not become the oppressors of today. The country will not build itself simply because the majority black people are now in charge. There is no substitute for hard work – entitlement for its own sake benefits no-one. We must cease to be prisoners of our own vices in order to be truly free. Only then will we reap the fruits of independence. ← Anders Behring Breivik: The insanity of the defence of insanity? It is true that human rights abuse remain a blight on the domestic and international image of Zimbabwe. One hopes that the eloquence with which President Robert Mugabe criticises the Western nations for violating Zimbabwean human rights through the imposition of ‘targeted sanctions’ translates into concrete roadmap based on a commitment to restore the freedoms and inalienable rights of the citizens. The most auspcious way to do this is to provide leadrship around the new constitution which Zimbabwe is crafting. A new constitution with justiciable rights, a free press, an independent judiciary, an Independent Electoral Commission, autonomy for public institutions etc. count for much to any nation that looks up to others for respect. For you to get respect from othres, you have to first have respect for yourself. Moreover, within the commonwealth of nations, just like in other social interactions, respect is earned. I therefore aggree with you that ‘entitlement for its own sake benefits no-one’. Indeed, the mismangement of the affars of our countr, by our leaders, and the complicity of most of us, the citizens, is responsible for the unenviable position where we sit. We have become a ‘skunk’ (chidembo) to our neigbours and the wider international community. We need to acknowledge our failures as a nation, and to commit towrads restoration. If we continue to fail to do that then ‘independence’ will remain a mirage.